In order to continuously improve labeling operations all while remaining at the forefront of regulatory changes, label pro-fessionals seek insight into new CMS and ELS opportunities matching corporate needs. With a multitude of variables for selecting and utilizing content and labeling systems, it is crucial to discern how vendors may assuage technology imple-mentation or optimization challenges and support solutions for a streamlined approach and effective use. Via a practical walk-through of peers’ experience in the journey towards CMS or ELS establishment and enhancement, labeling teams are better positioned to make appropriate selections, optimize content and label information management, and execute maximized labeling process. Karen Barstow, SIEMENS HEALTHCARE DIAGNOSTICS INC. In an effort to enhance labeling operations through the use of cutting edge technology, professionals are continuously interested in gaining accrued insight into new software applicable to the company’s needs. While many technologies appear promising, it is crucial to fully consider the pros and cons of each option in order to make the best decision for purchasing and implementation. 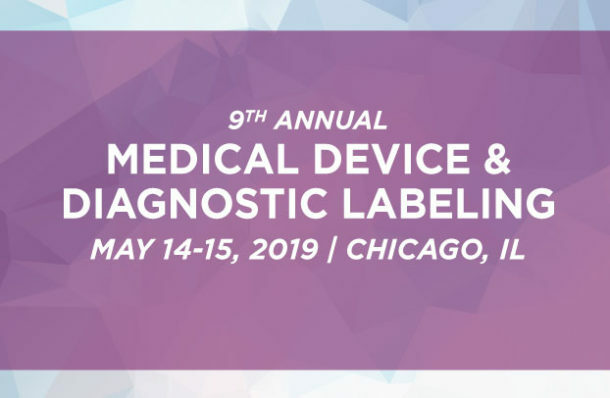 Participants will gather in small groups led by moderators to share perspectives on new and existing technologies designed to optimize and streamline labeling strategies via the use of CMS, MDM, ELS or TMS solutions. Forward-thinking medical device firms are implementing integrated Enterprise Labeling and Artwork Management solutions. Many are leveraging “validated sources of record” to streamline regulatory compliance, customer and marketing requirements. Integrated solutions reduce packaging revisions while improving time-to-market and ultimately reducing costs. Hear examples of how automating and centralizing labeling enhances accuracy and eliminates complex, error-prone data replication. While UDI strategies targeted towards complying with FDA requirements are up to date and fully operational, the industry is examining methods to address recently released as well as upcoming regulation across the globe. With many differing requirements within international markets such as European-wide and member state-specific conflicting provisions, in addition to developing rules in Saudi Arabia, Korea, Brazil or China, UDI experts are challenged with the establishment of a flexible, yet standardized process. In order to structure an optimized strategy incorporating recent regulation all while remaining prepared for upcoming requirements, UDI teams must clearly identify areas of alignment versus difference be-tween all provisions and how to continuously design an adaptable system. This interactive and engaging session will enable the audience to delve into topics of high importance pertinent to distinct areas of labeling operations. Participants will have the opportunity to join peers in small group discussions led by topic experts, to directly exchange strategies and address challenges. Each delegate may choose to select one topic, or to navi-gate from one to another to maximize key findings and take-home messages from this peer-to-peer learning experience. With an increasing corporate focus on sustainability and cost-saving opportunities, as well as additional international markets accepting elabeling, many device and diagnostic organizations are eager to learn more about implementing and managing a fully electronic labeling strategy. Moving away from a paper-based process involves the use of appropriate technology and acquiring new IT skills, in addition to integrating specific elabeling regulatory requirements that differ from one market to another. The complexity of eIFU and related web portal development and management must also be taken into account in the overall electronic strategy to ensure continuously successful outcomes.